​One of the most important safety considerations whenever riding your bike, whether for a training ride or a commute, is being seen by drivers and other cyclists in the dark. In many states, being visible when riding in the dark is not just a safety concern – it’s also important for avoiding an expensive traffic ticket. For bike commuters, riding in the dark is frequently a fact of life during the winter months when the sun comes up after you leave for work and sets before you start the ride home. Even when you don’t plan to be out riding in the dark, it can be hard to predict when you will be stuck late at work or decide to go out with friends after work before riding home. But staying late or going to work in the winter doesn’t have to mean abandoning your bike and grabbing a ride with a co-worker. 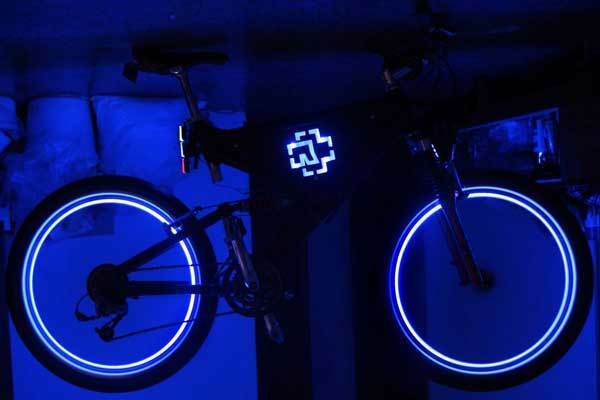 ​With little forward thinking, you can prepare yourself and your bike to be as visible as possible in the dark. 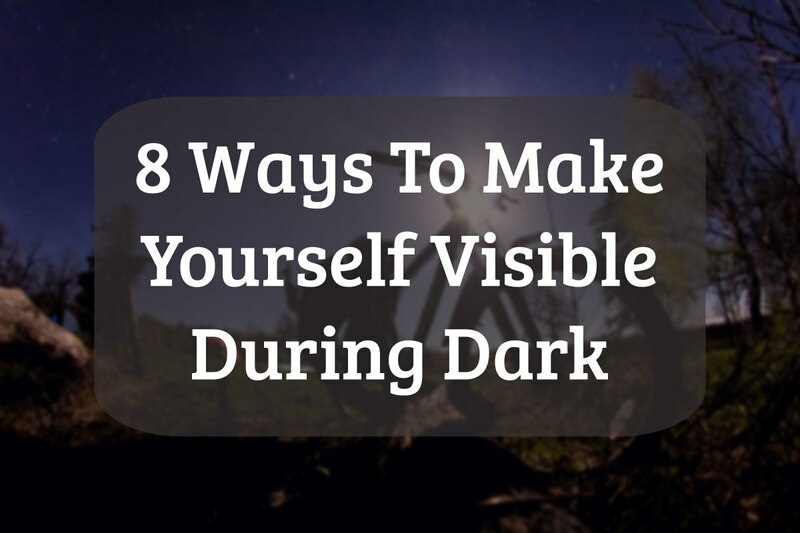 In this article, we’ll cover some of the gear and methods you can use to make yourself be seen during your early morning or nighttime commute. ​Front lights are typically required by law and are essential both for being seen and for allowing you to see the road in front of you. ​Front lights have evolved significantly in the past few years so that there is now no excuse for not having a front headlight on your bike that is as bright as any car headlight. While a 100-lumen front light is typically enough to be seen clearly by drivers, it is typically better to carry a 300-lumen or brighter front light so that you can also see and safely avoid any unexpected hazards on the dark road ahead. There are even front lights rated for 1,000 or more lumens, which can throw a massive beam of light to illuminate the whole road – but be careful when using these as they can blind drivers headed in the opposite direction. 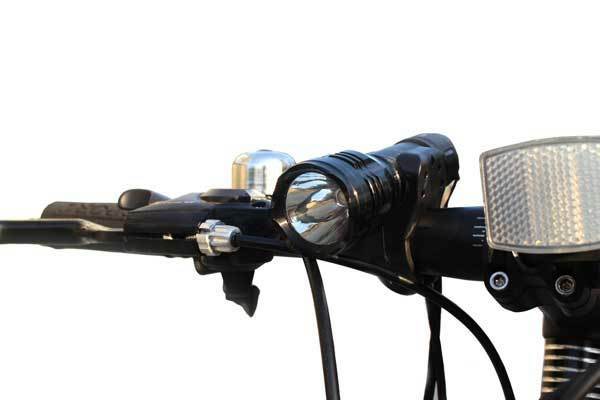 ​Most front lights are designed to clip onto your handlebars and come with adapters that will work for drop bars, flat bars, or any hybrid bar that you may be using. ​Having a rear light is just as important as having a front light, if not even more so since this will warn drivers behind you that you are riding on the shoulder or even in the lane. Also, a rear light is almost universally required by law for cyclists riding at night. Your rear light should be between 100 and 300 lumens to allow you to be seen clearly. Opt for a rear light that is capable of blinking or has a dynamic lighting pattern as an optional setting – these patterns are much better at catching the attention of drivers than a simple, stable red light floating in the dark. Attachment systems for rear lights vary, so you’ll need to carefully assess whether the light you are interested in will work with your bike setup. If you have fenders or a pannier on your rear wheel, either of these is often easy places to mount a light where it is sure to be seen. 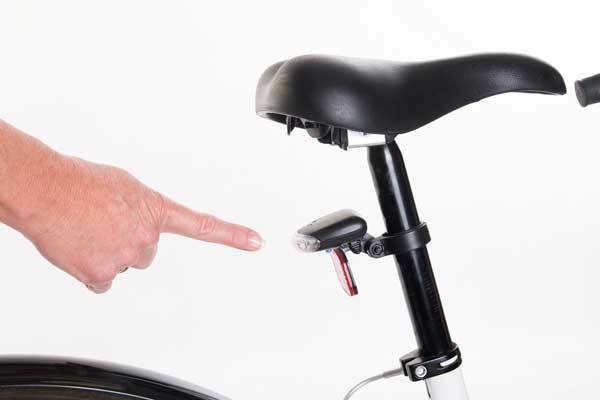 ​Other rear lights are designed to clamp onto the seat post, although it is important to note that these lights can be obscured if you are riding with a pannier. ​Front and rear lights allow you to be seen when riding on a straight road, but what about when you are riding through an intersection with cars on either side of you? Although they might see your lights, it is easy for a cyclist to be lost in the glare of other cars’ headlights. This is where wheel lights can make you much more visible and safe since they specifically shine a light to the sides and give your bike shape in the form of light. Plus, wheel lights can add a flash of color to your bike that helps it stand out in drivers’ minds. These lights are designed to clamp onto the spokes or rims of your wheels, depending on the specific model of light you choose. Since wheels come in different sizes and with different numbers of spokes, you’ll need to check the compatibility of your wheels with your desired set of lights. When adding wheel lights to your bike, note that they will add some mass to your wheels that can alter the way your bike handles – so be sure to practice riding with them before making them an everyday part of your commute. ​More lights are almost always better when riding at night. While your primary front and rear lights should be your brightest lights, consider adding additional lights to your body or helmet. A rear helmet light, in particular, is a great safety investment because this light will be at the eye level of most drivers, whereas the primary light clipped to your rear fender may be low to the road. Plus, if you have two rear lights blinking in different patterns, it is almost impossible not to grab the attention of drivers coming up behind you. ​If you opt also to add a front helmet light, be sure that it is relatively dim – ideally 100 lumens or less – since the same principle of this light being at eye level means that you can blind drivers coming towards you. 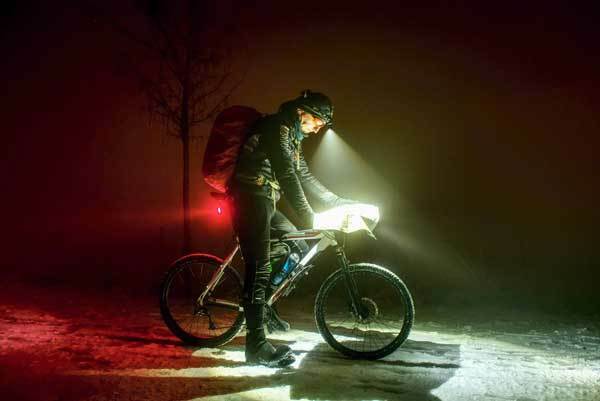 When choosing a bike light, there are a couple of important considerations. First of all, getting the right brightness is essential – you need to be seen and see the road ahead of you, but not blind other drivers or cyclists. For a front light, aim for 300-1,000 lumens, while for a rear light, aim for 100-300 lumens. The ability to blink or form a dynamic lighting pattern is also important for grabbing drivers’ attention, especially for rear lights. Also, consider whether your lights are waterproof – lights that will malfunction and break in the rain won’t do you any good if you plan to commute in bad weather. Finally, think about how long the batteries last on the lights you choose and whether the battery is rechargeable. If it is, be sure to carry a charging kit with you, so you don’t find yourself in a situation where your lights are exhausted early in your ride home from work. If they use disposable batteries, carry extra batteries with your work supplies. ​You can also help drivers see yourself by wearing reflective clothing, such as a neon-colored cycling jacket or cycling jerseys with reflective tape sewn into the seams. 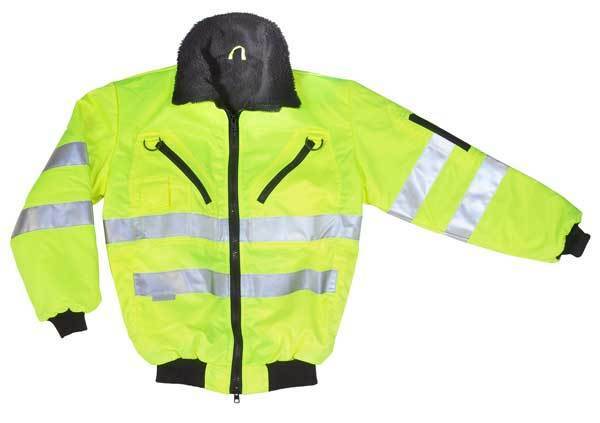 If you are wearing non-reflective work clothes during your commute, consider adding a reflective vest over the top of your outfit. Also, studies have shown that putting reflective tape on your knees and ankles is extremely effective in helping drivers to recognize you in the dark. ​Being well-lit and visible to drivers and other cyclists is extremely important for your safety whenever commuting in the dark. Having not just a set of primary front and rear lights but also additional side-facing wheel lights and helmet or body lights can make you much easier to spot in any direction whenever you are riding at night.